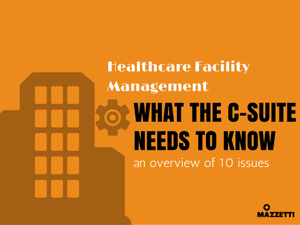 Over the next few months, we will take a deeper dive into the top 10 issues you need to know about facility management in healthcare. My goal is to help those of you currently in the C-Suite to gain a greater understanding and comfort level with one of, if not, the biggest asset you have on the books—your buildings. Optimizing the environment and planning for the future can net significant savings and favorable patient care reviews. The following is my top 10 list…As I mentioned, we’ll take a deeper dive into each over the next few months. Stick with me and ask questions as we go. Buildings, commercial and residential combined, consume 40 percent of the total U.S. energy usage with food service and healthcare buildings being the most energy intensive, according to the 2003 Commercial Building Energy Consumption Survey (CBECS). U.S. healthcare facilities spend $8.8 billion per year on energy, exceeding the per-building energy costs of other building types by a factor of 10. Most likely, your facility team is already executing a plan to reduce this significant expense. ASHE’s Energy to Care program is a free resource to ASHE members. This program is serving more than 1,000 healthcare facilities across the country, tracking more than $67 million in energy savings. Read more here. And what should you know from the recent Paris Climate Talks regarding energy? The National Institute of Environmental Health Sciences (NIEHS) highlighted the potential impacts of climate change on health and healthcare facilities. Mitigation, resiliency, and leadership were recognized as the three areas of climate action focus for the healthcare sector. The US Climate Resilient Kit (published in 2014) is among the free resources available to healthcare facilities. More resources available here. More on what you should know about energy here. It’s no secret. All industries are experiencing the effect of aging baby boomers. A 2012 survey by Health Facilities Management and ASHE found that 40 percent of facility managers were older than 55. This year (2016) marks when the youngest Boomers turn 51 years old and the next generation, Gen X, is turning 50. Due to the diverse demands and skill sets —technical and soft – required of a Facility Manager, proactive succession planning is no longer a nice-to-have, but rather, a must-have. Technical competence coupled with a significant institutional history can leave a sudden gaping hole. More on what you should know about succession planning here. Building systems innovation and technology are rapidly increasing the sophistication of our buildings, thus requiring more sophisticated staff. Can a “smart building” outpace the competency of your staff to maximize efficiencies? What systems have the potential to yield the greatest returns? How can you support your Facility Group to keep pace? More on evolution of smarter buildings COMING SOON. Do you feel confident in your current infection control and prevention strategy? Both water and airborne pathogens have become more pertinent issues in the wake of sustainable practices, potentially increasing threats. Consider the recent cases of Legionella and how to prepare for ASHRAE 188. Additionally, changes are being considered in ASHRAE 170. Solid strategies for environmental management coupled with an organization-wide prevention and control program is the best protection for all. More on infection control COMING SOON. As we know, some of reimbursement is dependent upon patient satisfaction and the environment plays a critical role. When it comes to Facility Management, you need to know how the physical environment can impact a patient’s satisfaction. Again, what are the highest yield investments? More on what you should know about patient satisfaction here. Hospitals are huge generators of waste and consumers of water. Like what happened to me during Katrina, consider what would happen if you lost all your water suddenly. It can happen, often due to unforeseen catastrophic events. Interested to hear more about the story of sourcing five million gallons a month of water? Reach out to me. More on waste & water conservation planning COMING SOON. Periodic evaluation of operational performance is key to continuous improvement. Identifying opportunities to increase efficiencies, customer satisfaction, and results of other key performance indicators can drive favorable change. Spending the time to complete a periodic comprehensive assessment may be just what the doctor ordered (pun intended). More on facility operations COMING SOON. Think about it. Outside of the staff, your building is one of, if not the biggest asset, you have. Your Facility Group is tasked with planning and scheduling tasks to address the condition of your aging asset. This should be a dynamic, living game plan. They are often “fighting” for dollars to fulfill this plan and maintain an optimal building. What are the most typical maintenance items you should know more about? What are great ways to plan for the future? More on avoiding deferred maintenance here. Unfortunately, many healthcare facilities have plans simply for compliance purpose with The Joint Commission (TJC). But how often is it tested and revised accordingly? How well does your Hazardous Vulnerability Assessment (HVA) really identify potential issues that should be addressed operationally? In the wake of the recent horrific Paris attacks, how has your team addressed both safety measures and designing for surge? And even if your systems stay fully operational during a catastrophic event, are you prepared to manage the significant civil unrest that can, and often, ensues? More on emergency preparedness here. What do you need in a Facility Director? 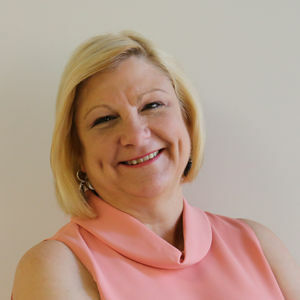 More on what you should know about the Facility Director's role here. Burning questions? As I mentioned, I want to ensure the time you spend reading this content is as valuable as possible in helping you to do your job better. Contact me directly if you have a specific question or suggested topic of conversation.